Hello Linux Geeksters. As you already know, the Fedora developers have already started porting Firefox to GTK+3 and the plan is to get it ready in time, so that in can be used by default on Fedora 21, which will be using GNOME 3.14 and the Wayland display server as default, as a replacement for the good old X.org server. Also, Emilio Pozuelo of Collabora has started to port Firefox to GTK+3 and make it Wayland-compatible. While GTK+3 is supported by Wayland, the Firefox browser has some X11-specific code that needs to be rewritten, so that the browser runs smooth of Fedora’s new display server. 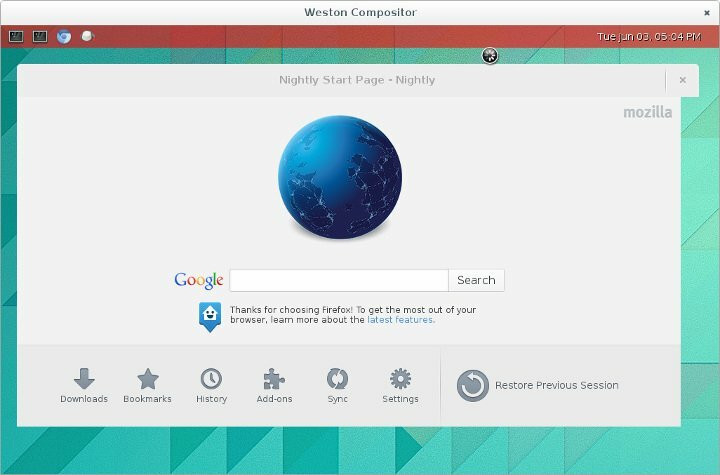 Emilio has managed to make Firefox run under Weston, Wayland’s compositor avoiding segfault, but there are still things that don’t work yet (e.g: keyboard input is broken). For more information, see Emilio’s blog post. I think that they are totally insane for porting FF. Hell, the Gnome Dev’s break themes, extensions with every release. Maybe, just maybe, Red Hat may rein in the Dev’s so that every release does not break existing GTK3 themes.